Mental Health for the Whole Child - Description | W. W. Norton & Company Ltd.
A leading pediatric psychiatrist shows clinicians a holistic, full-spectrum approach to children’s well-being. Every child possesses enormous untapped potential, and yet the number of kids suffering from mental illness today seems to creep ever upward. Depression, anxiety, ADHD, OCD, oppositional defiant disorder, anger issues—you name it—are increasingly prevalent, leaving clinician’s offices packed with worried parents and caregivers, wondering how they can help their children. “What is mental health?” Shannon explores the fundamental question, showing that an innate desire for balance—a wholeness—between brain-body-mind lies at the heart of wellness. Such a balance can’t be achieved by medication alone, but requires a broad, full-spectrum understanding of children’s lives: their diet, social skills, sleep habits, their ability to self-regulate, to find meaning and purpose in life, and their family relationships. Stress, trauma, and poor nutrition are some of the most common barriers to wholeness in kids’ lives, and Shannon carefully examines these and other barriers, and what the latest discoveries in neuroplasticity and epigenetics tell us about their ability to overcome them. Readers will learn how to perform a different sort of assessment—one that identifies patterns of imbalance and obstacles to health in a child’s life—as well as how to build a meaningful, effective treatment plan around these deficits, and how clinicians can best position themselves to respond effectively. 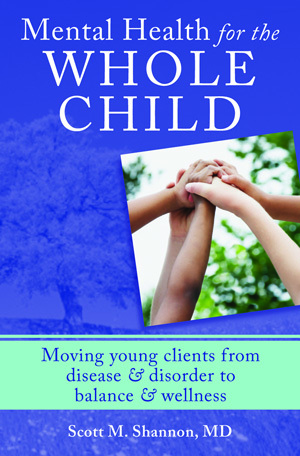 Parenting the Whole Child: A Holistic Child Psychiatrist Offers Practical Wisdom on Behavior, Brain Health, Nutrition, Exercise, Family Life, Peer Relationships, School Life, Trauma, Medication, and More . 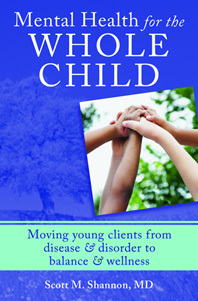 . .
Understanding child health and wellness through a holistic lens.